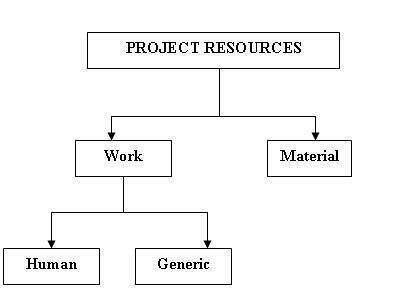 Resources carry out the work of your project. You need to add the names of the resources who will be working on your project to accomplish project deliverables or tasks. Defined in simple terms, resources are the people, equipment, and materials required to execute a project. Human Resources: A Human resource is a specific individual you can identify name. Generic Resources: A generic resource is a title or other similar description of the resource rather than an actual name. You can use the generic resources in schedules when you don�t have information that who is the actual resource working on that task. Example: Tester, Project Manager, DBA, and Business Analyst etc.